Criminal forfeiture laws allow law enforcement to seize property that they believe is involved in a crime. This makes sense when property, such as cars or homes, is purchased using funds from illegal activities, such as fraud, identity theft or drug crimes. Unfortunately, it’s all too easy for property to be seized from those who were not directly involved in a crime. If a family member commits a crime and is arrested while using your vehicle, for example, your vehicle may be seized on the spot. Even if you weren’t personally involved in the crime or the arrest, you can still have your property forfeited simply because of the way Arizona’s criminal forfeiture laws are written. At JacksonWhite Law, we help those who have had property taken even though they were not personally involved in a crime or arrest. If you’ve had property, cash, cars or other assets taken because they were deemed to be traced to a crime, we may be able to help you get your property back. Have you lost property to a criminal search and seizure? Call (480) 467-4370 now to get a review of your case with attorney Roger Foote. Search and seizure is a technique used by police to inspect a person’s body, home, car, or business to find information on a crime. If police find proof, they are permitted to seize it (putting someone under arrest also falls in this category). Because of the Fourth Amendment, police are only allowed to intrude on personal property under specific conditions with a valid search warrant. However, if an individual gives an officer permission to search their personal items, it is legal. It is also legal if the police officer has a strong cause to believe that a person has committed a crime. If an officer infringes on an individual’s Fourth Amendment rights, and the search is illegal, the information found will not be permitted to be used in any case. If you have been accused of a crime in the greater Phoenix Arizona area, it is vital that you contact a criminal defense attorney from JacksonWhite immediately, preferably before you are questioned by police. An experienced JacksonWhite criminal lawyer will effectively defend your case and will work to obtain the results you desire. Call (480) 467-4370 to schedule a free consultation with the JacksonWhite criminal defense team. Over the last few years, there have been stories throughout Arizona of law enforcement offices taking property and assets from people who weren’t convicted of a crime. In 2010, a woman who was acquitted of animal cruelty charges was still forced to forfeit her property because the judge believed there was “probable cause” that illegal activity had taken place at the property. So although the woman was not convicted, she was still forced to give up her home. Unfortunately, this kind of case is happening more often, and it also happens to friends and family members who are in some way connected to those who have potentially committed crimes. Civil and criminal forfeiture is happening so much, in fact, that law enforcement forfeiture revenue increased from $11.8 million in 2000 to more than $50 million in 2011. Do You Need Help with Forfeiture in Arizona? We know how frustrating it is to have property taken away unnecessarily. That’s why we take every effort to help people who have been taken advantage of by Arizona’s extremely broad criminal and civil forfeiture laws. 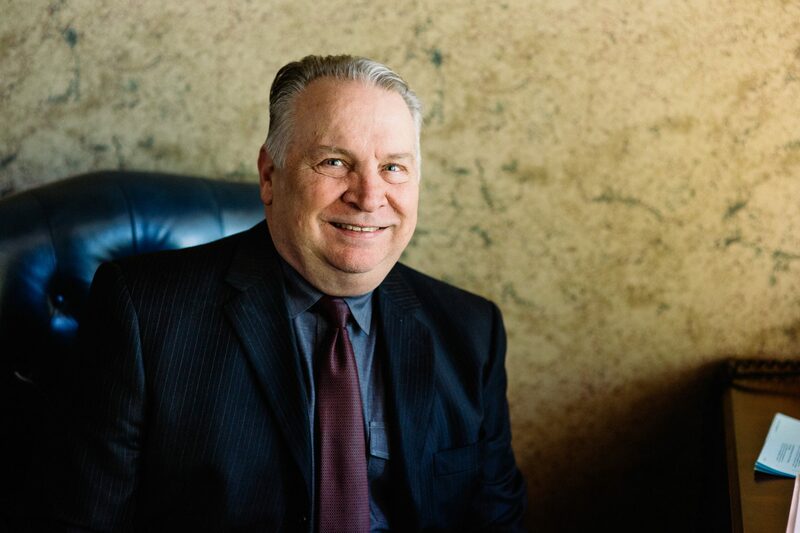 For nearly 30 years, attorney Roger Foote has helped clients facing all types of litigation issues make sure they’re properly and confidently represented in court. Before working as an attorney, Roger was a member of law enforcement as a SWAT team member, so he understands firsthand the complex relationships between law enforcement officers and the general public. He puts this experience to work for criminal forfeiture clients who have had property and assets taken away due to unclear circumstances. If you’ve had assets seized but haven’t been convicted of a crime, we may be able to help you take back your property. To see how we can help you, we invite you to call our offices to schedule a consultation with Roger. Here, you’ll learn more about what legal options you have, and decide if hiring an attorney for your criminal forfeiture case is the best solution for you. Call (480) 467-4370 to see how we can help you today.